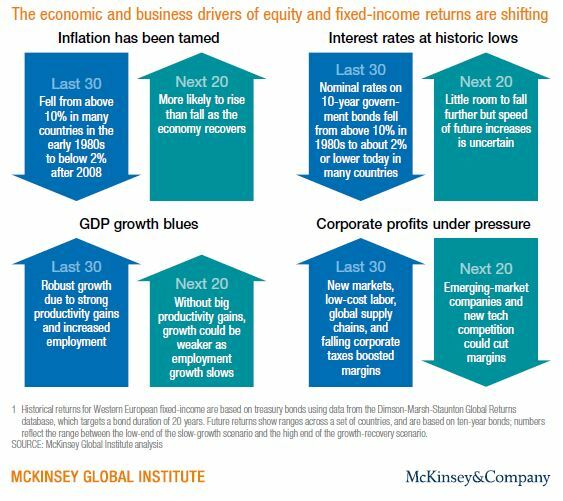 Back in May, the McKinsey Global Institute published a report, Diminishing Returns: Why Investors May Need to Lower Their Expectations. The title is self-explanatory. In essence, the report states circumstances of the last 30 years produced returns in both stocks and bonds that were above the long-term average. Those circumstances include: drastic declines in inflation, strong global GDP growth, positive demographic attributes, productivity gains (think of the robust growth of technology), and rapid growth in China. Today, those circumstances are changing. We face a higher probability of inflation in the years ahead, slowing global growth, and an aging demographic as baby boomers exit the work force. In addition, most of the robust growth in technology has already taken place (we will likely continue to see incremental improvements, but nothing like what we’ve witnessed over the last three decades). China is also slowing as it strives to transition from a developing, export-driven economy to a more developed, consumer-driven economy. Not only will we likely see lower market returns than we’re used to, but there has never been more responsibility on individual investors as there is today. 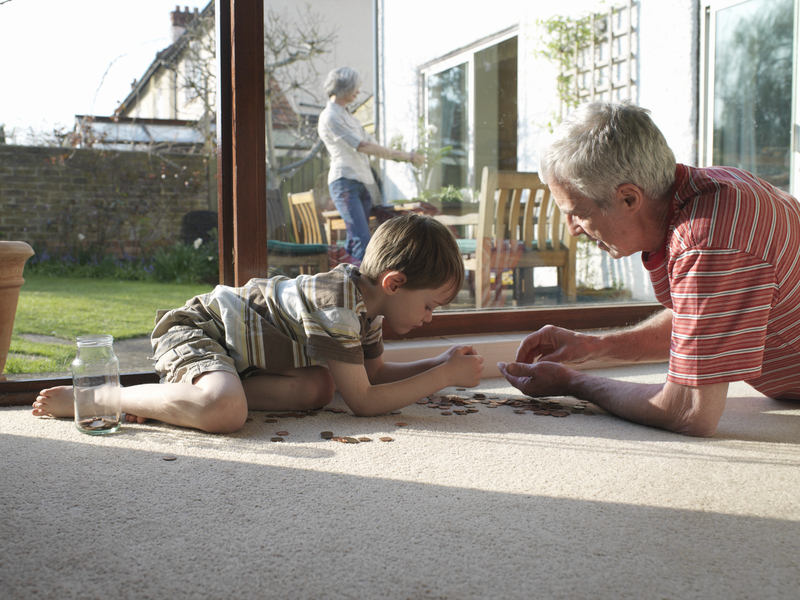 Individuals must prepare for the costs of educating their children and the potential costs of assisted living for their parents, all while saving for their own retirement without the safety net of a pension plan or the guarantee of Social Security in the future. With the costs of education and healthcare outpacing the rate of inflation by two to three times, investors should be concerned. While this may seem like dire news, in reality, it is. Are you prepared? It has never been more imperative that we save more, spend less, and maintain globally diversified and balanced portfolios. It’s important to prepare a plan with a financial advisor, someone who has the tools to project future costs compared with up-to-date market projections, so you can save and allocate appropriately to reach your financial goals. We must stay disciplined. We must stay diversified. We must take action into our own hands to prepare for the obstacles ahead.